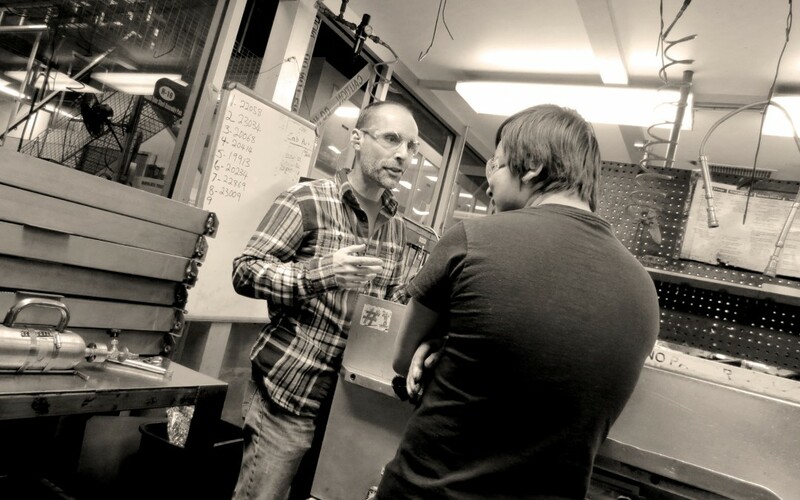 In January of 2010, God opened the door for James to minister as a part-time chaplain at a local manufacturing plant. Through the opening of one door, many doors to employees’ hearts have since been opened to Christ’s love and care. In 2013, God revealed a great opportunity and need in the Sioux Empire for workplace ministry. On October 1st, 2013, James and his family made the decision to “move” his pastoral ministry from the local church to the workplace through the birth of Corporate Care of the Sioux Empire. Corporate Care’s vision became a reality, enabling workplace leaders to offer proactive care to their employees who voluntarily seek to move out of brokenness into wholeness through our chaplain assistance program. This program incorporates on-site confidential pastoring, counseling, crisis care, hospital visits, and Bible studies, so employees become healthier and the workplace is blessed. We are also blessed to strategize with companies to foster an environment of mutual care and service both in the workplace and beyond. We are seeing a ripple-effect as we come alongside and encourage business leaders as they steward themselves for the glory of God’s kingdom. Life-impacting ministry is happening every day through Corporate Care chaplaincy at various Sioux Empire businesses. We are growing and currently offering care for over 1,000 local employees. God orchestrates lots of conversations with employees concerning their personal burdens, on their turf. Many ask for His life-giving truth in search for hope and freedom. There are multiple weekly Bible studies with dozens of employees participating, again, where they work. One beauty of these studies is that employees voluntarily spend their time interacting with a book of the Bible. These folks join in from a wide range of ethnicities, denominations, and even faiths as they learn and care for each other. We are blessed to be compensated for our services by the workplaces we serve. At the same time, we rely on the generous gifts of others to fully fund the work of Corporate Care. Will you please consider partnering with Corporate Care in this work? The sending power of your prayers and your individual gifts* will allow Corporate Care to be in a position to serve the local owners, CEOs, and employers who desire us to labor for “lasting employee care” with them and their employees. We are in a great place to forge ahead in workplace ministry as God opens doors! *Currently, Corporate Care is awaiting final approval from the IRS to become a nonprofit organization. Upon approval, funds received will be tax-deductible retroactive to our incorporation date in September 2013, our attorney and accountant are confident of this approval (while also confident of the government’s hurry up and wait timeframe). With this in mind, the board of directors desires to move forward with fundraising efforts.